Posted on August 25, 2017 by Enough is Enough! 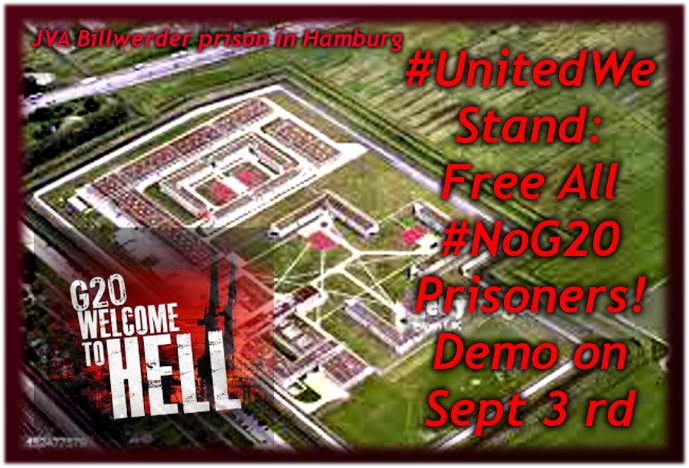 este logo es ahora ilegal.. .All Linksunten Indymedia logos are now also banned in Germany. Linksunten exists in its current format since 2009 and published calls for actions and demonstrations, claims of groups who carried out actions, articles for debates, analysis and reports from and about many acions. The platform gave people a platform to post anonymously, beyond the control of state authorities. Update 01:22pm (CET): At least one arrest in relation to the ban on Linksunten. According to the open newswire (so this news is still UNCONFIRMED, it wouldn’t be the first time that fascists use the open newswire to spread fakenews) at de.indymedia (which is not banned) the lawyer of Daniel Behrens said that his client was arrested at 11:00am today. Heute Vormittag wurde der Antifa-Aktivist und Funktionär der baden-württembergischen Linkspartei, Daniel Behrens, verhaftet. Tomorrow morning Daniel will have to appear before court. The court will have to decide about the pre-trial arrest of Daniel. Publicado el 25 de agosto de 2017 por Enough is Enough! El gobierno alemán prohibió el sitio web linksunten.indymedia.org hoy. Según los medios de comunicación alemanes la decisión fue dada a 3 presuntos “operadores” de la plataforma indymedia. Los polis allanaron edificios, confiscaron computadoras pero hasta ahora los policías no hicieron arrestos. Thomas Strobl (CDU), ministro del Interior del estado de Baden-Württemberg, dijo a periodistas que las incursiones en “varios objetos” están en curso. El ministro del Interior, Thomas De Mazière, dijo que Linksunten está actuando en contra del “orden constitucional”. El ministerio federal del interior motivó la prohibición diciendo que el propósito y la actividad del sitio web Linksunten Indymedia: “leyes penales adversas”. Todos los logotipos de Linksunten Indymedia también están prohibidos en Alemania. Según el diario alemán Neues Deutschland, el sitio web estuvo fuera de línea por un corto momento el viernes por la mañana, pero más tarde el sitio estaba en línea de nuevo. A las 10:50 am (CET) volvimos a comprobar y el sitio estaba abajo otra vez. Sin embargo su esperado que Linksunten podría estar en línea pronto otra vez. Linksunten.indymedia se organiza de forma descentralizada y se almacena en diferentes servidores y De Mazière admitió que no será posible cerrar Linksunten hoy o en los próximos días. Resultado de la búsqueda de linksunten. Linksunten existe en su formato actual desde 2009 y publica convocatorias de acciones y demostraciones, reclamaciones de grupos que llevan a cabo acciones, artículos para debates, análisis e informes de y sobre muchos acions. La plataforma dio a la gente una plataforma para publicar de forma anónima, más allá del control de las autoridades estatales. La acción represiva contra Linksunten se produce después de que muchos políticos alemanes anunciaron que el estado intensificará la lucha contra lo que llaman “extremismo de izquierda”. 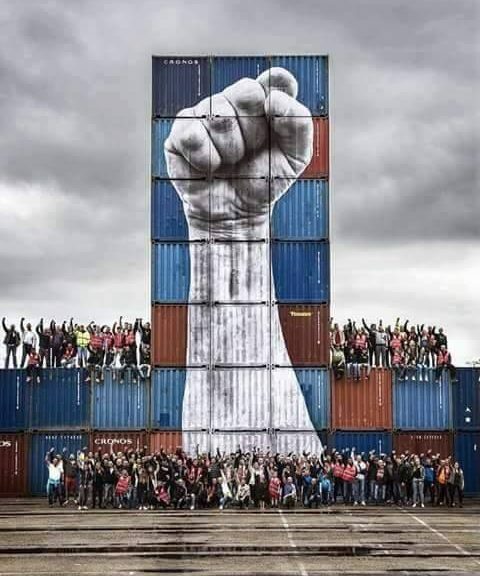 Estos anuncios se produjeron después de los últimos meses NoG20 protestas en Hamburgo. 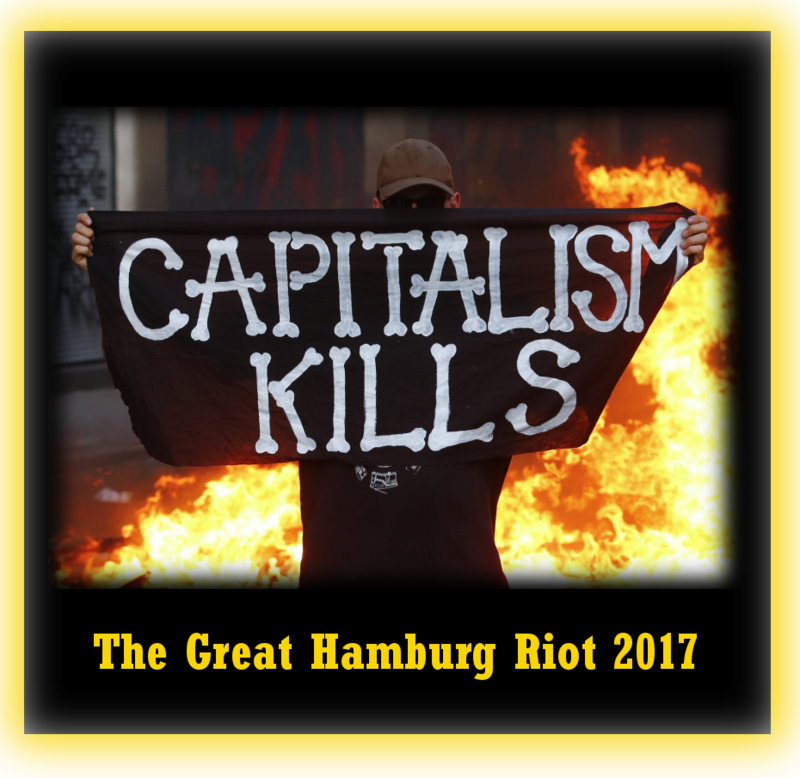 Linksunten Indymedia publicó muchas llamadas, informes y análisis antes, durante y después de las protestas del No G20. El estado alemán no pudo silenciar el movimiento tras prohibiciones en revistas como Radikal y probablemente volverán a fallar. El movimiento no puede ser silenciado. ¡Todos somos Linksunten! Actualización 01:22 pm (CET): Por lo menos un arresto en relación con la prohibición de Linksunten. De acuerdo con el newswire abierto (por lo que esta noticia es aún UNCONFIRMED, no sería la primera vez que los fascistas usan el newswire abierto para difundir fakenews) en de.indymedia (que no está prohibido) el abogado de Daniel Behrens dijo que su cliente Fue arrestado a las 11:00 am hoy. Heute Vormittag wurde der Antifa-Aktivist und Funktionär der baden-württembergischen Enlaces externos, Daniel Behrens, verhaftet. Mañana por la mañana Daniel tendrá que comparecer ante la corte. El tribunal tendrá que decidir sobre el arresto previo al juicio de Daniel. El ministro del Interior, Thomas de Mazière, dijo a los reporteros que los linksunten.indymedia.org están prohibidos y que la gente detrás de la misma es considerada como miembro de una asociación terrorista. Actualización 11:15 pm (CET): En Karlsruhe, Alemania también hubo una demostración espontánea bajo el lema “We are all #Linksunten” esta noche. 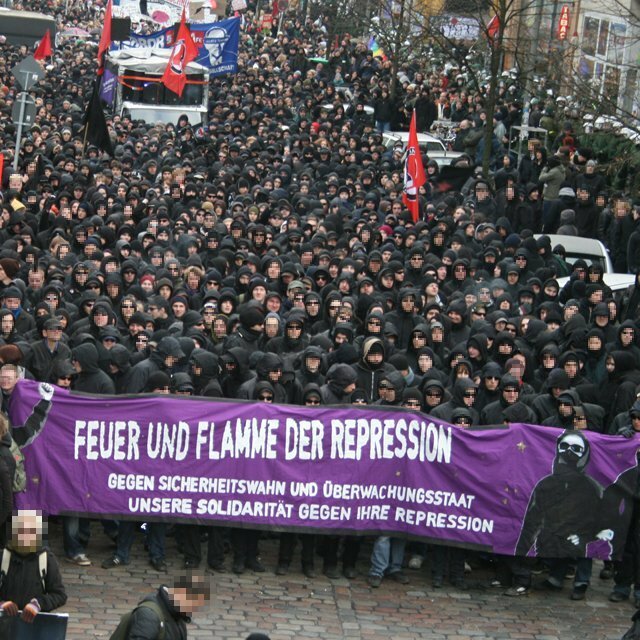 Hamburg Black Bloc.. 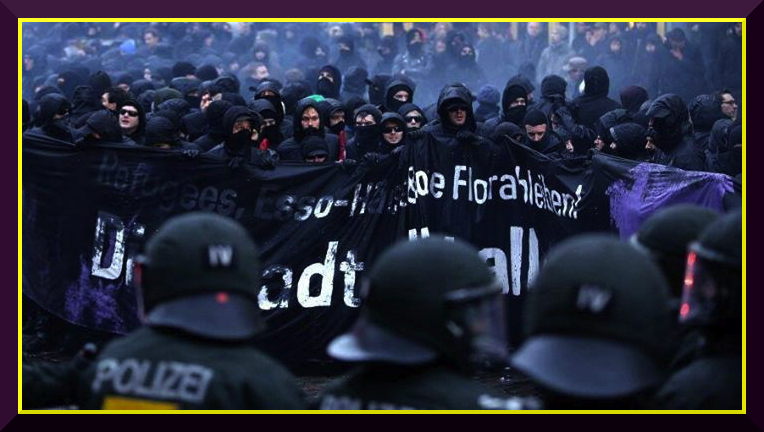 In Germany the black bloc is essential with large police resources dedicated to identifying and pursuing anyone who protests. 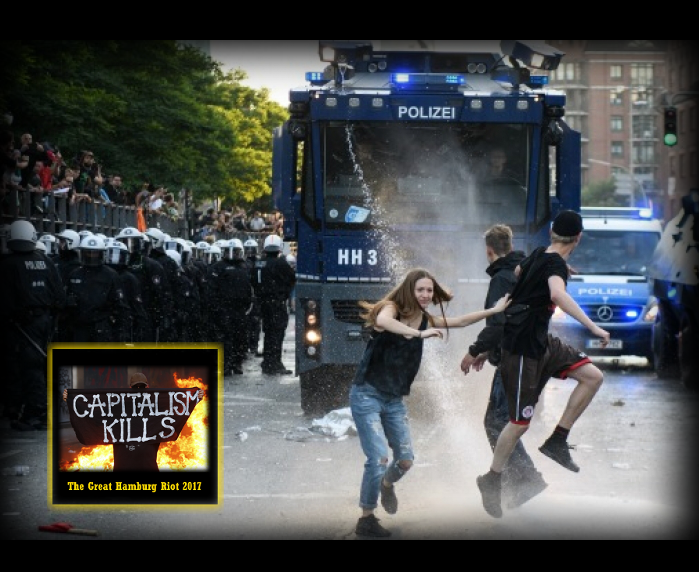 The post German Government Shuts Down Indymedia: What It Means appeared first on It’s Going Down. 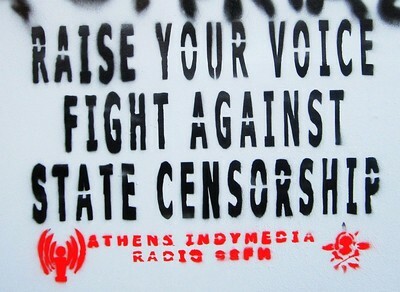 The German government has shut down the German Indymedia site, the most widely used German-language platform for radical politics and organizing. They have also conducted raids in Freiburg to seize computers and harass those they accuse of maintaining the site, absurdly justifying this on the grounds that the alleged administrators constitute an illegal organization for the sake of destroying the German Constitution. This represents a massive escalation in state repression against what the authorities call “left-wing extremism,” disingenuously suggesting an equivalence between those who seek to build communities beyond the reach of state violence and Neo-Nazis organizing to carry out attacks and murders like the ones in Charlottesville last week. In the last couple of years, more and more attention has accumulated around linksunten, which offers a space for people to post anonymously. For example, in 2011, a communiqué appearedon the platform claiming responsibility for politically motivated sabotage on the subway infrastructure in Berlin. The site was also used to release information about fascists and Neo-Nazis. In 2016, an article on linksunten presented the complete data of every participant at the convention of the far-right nationalist party Alternative for Germany (Alternative für Deutschland, or AfD), a total of 3000 names. This further attracted hostile attention from far-right advocates of state repression. Of course, those who maintain the website have not themselves written anything that could offer legal grounds for this attack. Even corporate media platforms offer space for people to speak anonymously—for example, when members of the State Department speak to the press on the condition of anonymity. The excuse that the state is using to justify this attack is to declare that those who maintain linksunten comprise an official organization aimed at destroying the German Constitution. This is a legal trick. If it succeeds, it could easily be used against other platforms, magazines, and projects, so that everyone spreading radical literature and ideas and documenting activism and social movements will become targets for this kind of repression and state violence. That is the message they want to send, in order to bully the entire population into accepting that the current political order in Germany will persist until the end of time. 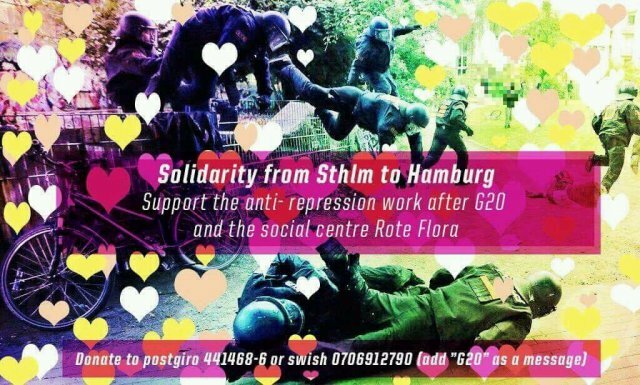 This heavy-handed approach shows how afraid the authorities are that radical ideas are spreading and becoming contagious following the successful demonstrations against the G20 summit in July. Thomas de Maizière made it clear enough in his press conference that this assault on Indymedia is a form of revenge for the embarrassment the state suffered during the summit. This also shows how dishonest far-right and statist rhetoric is about free speech—in fact, these hypocrites only use that discourse to position themselves to suppress others’ speech. The solution to fascist organizing is not to empower the state to control speech, but to mobilize the general population both against fascists and against the state infrastructure that the far right intends to take over. 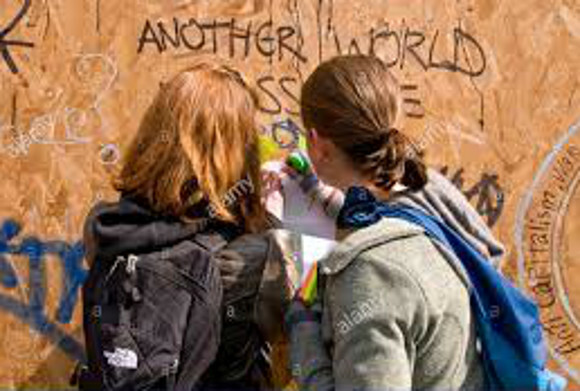 In Germany and all around the world, we need radical theory and practice; we need spaces where people can communicate anonymously, so as not to be intimidated by the twin threats of state repression and grassroots fascist violence. In order to understand social movements and struggles, so our sense of history is not swept away in a torrent of ephemera, we need databases that preserve accounts and communiqués. As an author once put it, the struggle of humanity against authoritarian power is the struggle of memory against forgetting. To fight back against this authoritarian crackdown, it is now more important than ever to spread revolutionary material and ideas everywhere and to brainstorm alternative ways to communicate with each other and the general public in times of intensifying state censorship and control. Liked it? Take a second to support It’s Going Down!